Предлагаем к чтению аннотацию, описание, краткое содержание или предисловие (зависит от того, что написал сам автор книги «Parting Shot»). Если вы не нашли необходимую информацию о книге — напишите в комментариях, мы постараемся отыскать её. When a young girl from Promise Falls is killed by a drunk driver, the community wants answers. It doesn’t matter that the accused is a kid himself: all they see is that he took a life and got an easy sentence. As pack mentality kicks in and social media outrage builds, vicious threats are made against the boy and his family. When Cal Weaver is called in to investigate, he finds himself caught up in a cold-blooded revenge plot. Someone in the town is threatening to put right some wrongs... And in Cal’s experience, it’s only ever a matter of time before threats turn into action. Кто написал Parting Shot? Узнайте фамилию, как зовут автора книги и список всех его произведений по сериям. Ниже представлен текст книги, разбитый по страницам. Система автоматического сохранения места последней прочитанной страницы, позволяет с удобством читать онлайн бесплатно книгу «Parting Shot», без необходимости каждый раз заново искать на чём Вы остановились. Не бойтесь закрыть страницу, как только Вы зайдёте на неё снова — увидите то же место, на котором закончили чтение. I ran into someone on the street in Promise Falls the other day, a woman who knew me back when I was a cop here, before I left for Griffon, near Buffalo, and became a private investigator. I gave her the best smile I could muster. “We talk every night,” I told her. Detective Barry Duckworth of the Promise Falls Police was sitting at his desk when his phone rang. He snatched up the receiver. “It’s Bayliss.” Trent Bayliss, the sergeant on the desk where people walked into the station. “I got a live one here.” Bayliss was unable to hide the amusement in his voice. “What’s his story?” Duckworth asked. “It’s better if you hear it from him. I wouldn’t want to spoil the fun.” Bayliss hung up. Wearily, Barry Duckworth cradled the receiver. Maybe Bayliss was amused, but Barry wasn’t. He didn’t view the job quite the way he used to. A little more than a year ago, he’d nearly died in the performance of his duties, and it had changed not only how he saw his work, but the world around him. He liked to think he’d stopped taking things for granted. He knew it was something of a cliché, but he saw each day as a gift. Every morning, he thought back to those moments when he’d nearly had the life snuffed out of him. Took him a while to get back on his feet, too. There was a stint in the hospital, even a little plastic surgery on his face. Perhaps the most amazing thing was, in the last year he’d actually lost some weight. He’d been about two-eighty fourteen months ago, but was now down to two hundred and thirty-three pounds. According to his calculations, that was forty-seven pounds. For a while he’d been putting new holes in his belt and just drawing his regular pants on tighter, but his wife, Maureen, said he was starting to look ridiculous. She’d dragged him to the men’s shop, like he was five years old or something, and bought him some new clothes. But he’d kept his old ones in the closet. Just in case. There might come a time when he once again found the temptations of Dunkin’ Donuts too great to resist. It had been some time since he’d had one of those. And he wasn’t going to lie. He missed them. But he liked being alive, and healthier, even more. Maureen had been tremendously supportive. She’d already been trying to get him to change his eating habits. Immediately after the incident, she was so happy he wasn’t dead that she spoiled him with homemade cakes and pies — no one made a lemon meringue pie like Maureen — but it was Barry who told her to stop. He’d made up his mind, he told her. He was going to take charge of his health. He was going to look after himself. Which explained the banana sitting on his desk. The brown banana, which had been there since yesterday. While Barry Duckworth knew what he wanted to do where his health was concerned, he was less sure about his career. It was in his role as a police detective that he had nearly died. He wondered whether he should do something else. The trouble was, he didn’t know what else to do. He’d been a cop more than twenty years. It wasn’t like he could go back to school at this stage and become a dentist. Okay, maybe not a dentist. He didn’t understand why anyone would want to become a dentist. He’d rather attend a hundred murder scenes than have to stick his fingers into someone’s mouth. But an accountant, now there was a nice, safe job. No one beat your face to a pulp for being an accountant. While Duckworth coped with the fallout of nearly losing his life, the town itself was struggling to return to normal. Hundreds of Promise Falls’ finest — and some not so fine — had died in a catastrophe the year before. People had never stopped talking about what happened, but now you could go an entire day, sometimes even two, without someone bringing it up. The out-of-towners were the real problem. It was, on a much smaller scale of course, a bit like after the Twin Towers came down, when tourists wanted their picture taken at Ground Zero. This upstate New York locale had become the poster town for revenge, and almost daily someone could be spotted taking a selfie by the “Welcome to Promise Falls” sign. Duckworth leaned back in his office chair, keeping his eye on the door to the detectives’ room. It opened and a man stood there, staring in, a look of bewilderment on his face. He probably topped out at one hundred and twenty pounds. Skinny, white, early twenties, about five feet nine inches tall. Closely cropped black hair, about three days’ worth of whiskers on his face. He wore jeans and a dark blue long-sleeved shirt with a button-down collar. He scanned the room, his eyes darting nervously. Duckworth stood up. Brian Gaffney, holding his hands together in front of him, leaning over slightly, as though trying to close in on himself, sat down. He kept looking around the room, up at the ceiling, like someone entering a cave, checking for bats clinging to the roof. Duckworth put a hand lightly on the man’s arm. Gaffney examined it, as though not sure what it was. “You’re okay here,” Duckworth assured him, thinking, only Bayliss would see this man as a source of amusement. Whatever Gaffney was afraid of might be imaginary, but the fear Duckworth saw in the man’s eyes was the real deal. The room was already in the high seventies. The A/C should have kicked in, but had not. 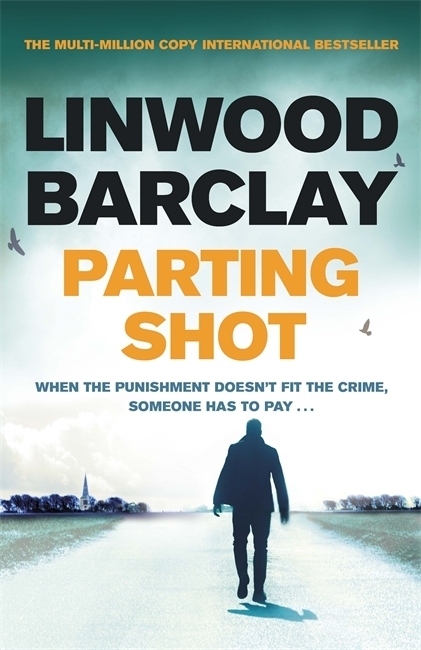 Представляем Вашему вниманию похожие книги на «Parting Shot» списком для выбора. Мы отобрали схожую по названию и смыслу литературу в надежде предоставить читателям больше вариантов отыскать новые, интересные, ещё не прочитанные произведения. Обсуждение, отзывы о книге «Parting Shot» и просто собственные мнения читателей. Оставьте ваши комментарии, напишите, что Вы думаете о произведении, его смысле или главных героях. Укажите что конкретно понравилось, а что нет, и почему Вы так считаете.